The Bank of Greece has warned for the first time that the country could be on a “painful course” to default and exit from both the eurozone and the EU. The central bank’s warning comes as the government and its international creditors blamed each other for failing to reach a deal over economic reforms. That failure is holding up the release of €7.2 billion in bailout funds. 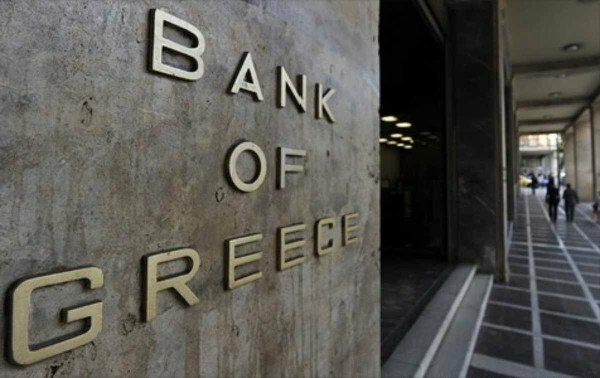 About €30 billion was withdrawn from Greek bank deposits between October and April, the central bank added. The central bank also warned Greece’s economic slowdown would accelerate without a deal. “Failure to reach an agreement would… mark the beginning of a painful course that would lead initially to a Greek default and ultimately to the country’s exit from the euro area and, most likely, from the European Union,” the Bank of Greece said in a report. He said preparatory work for the meeting had not gone far enough for a deal. Greek shares fell sharply again. The Athens General Index closed 3.2% lower which takes its loss for the past four trading sessions to almost 19%. Austrian Chancellor Werner Faymann was in Athens on June 17 in a last-ditch bid to end the standoff. “For Europe to be stronger, it must show solidarity and support to any country which needs it,” Werner Faymann said during a meeting with Greek President Prokopis Pavlopoulos. That came ahead of a meeting of euro zone finance ministers on June 18 although officials have played down expectations of a make-or-break decision being reached. The Austrian chancellor’s comments followed a harsher critique from European Commission President Jean-Claude Juncker, who on June 16 accused the Greek government of misleading voters, as Greek PM Alexis Tsipras accused the EU and International Monetary Fund (IMF) of trying to “humiliate” his country. Greece has two weeks remaining to strike a deal with its creditors or face defaulting on an existing €1.6 billion loan repayment due to the IMF. The country has already rolled a €300 million payment into those due on June 30. Jean-Claude Juncker said the Greek government had not told the truth about its latest reform proposals. “I am blaming the Greeks [for telling] things to the Greek public which are not consistent with what I’ve told the Greek prime minister,” he said. PM Alexis Tsipras has said that the lenders wanted to raise VAT on electricity. Other Greek ministers have criticized suggestions to increase sales tax on medicines. “The debate in Greece and outside Greece would be easier if the Greek government would tell exactly what the Commission… are really proposing,” he added. Elsewhere in the eurozone, Portugal’s short-term borrowing costs rose sharply on June 17, with yields on six-month treasury bills jumping from minus 0.002% to 0.044% at the country’s latest debt auction. The rise came despite an assurance to investors from Portuguese PM Pedro Passos Coelho that his country would not be “the next to fall” in the event of a Greek default.